THE challenge has been thrown: Italian team Luna Rossa Challenge has emerged as the first to bid on the right to compete against defender Emirates Team New Zealand in the Prada-sponsored 36th America’s Cup, scheduled in March 2021 in Auckland, New Zealand. Luna Rossa, now the Challenger of Record, will start its campaign in October in Sardinia at the first of two America’s Cup World Series (ACWS) races set this year. In 2020, the team will take on three ACWS events, as well as the Christmas Race set on December 10-20 in Auckland. In January and February 2021, it will also have to prove itself at the Prada Cup Challenger’s Selection Series, also in Auckland. 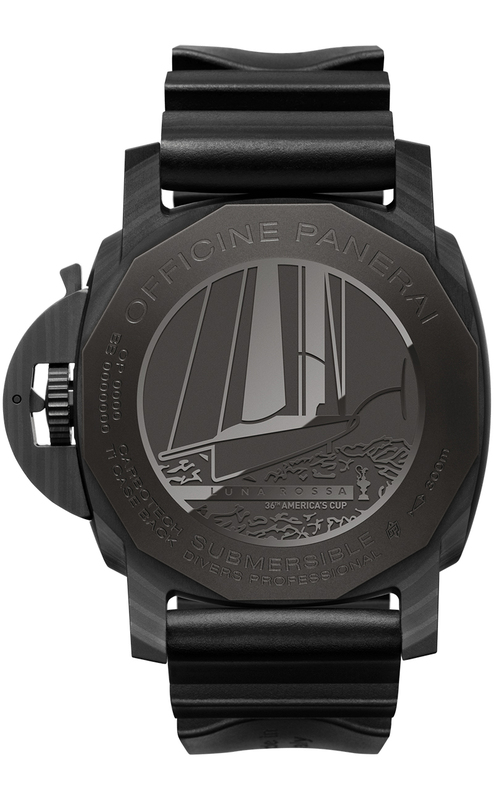 In supporting this effort, Officine Panerai announced it would create a series of watches inspired by the technologies and materials used in America’s Cup. These new Luna Rossa pieces will be worn by members of the Luna Rossa Sailing Team headed by Massimiliano “Max” Sirena — a two-time America’s Cup winner. 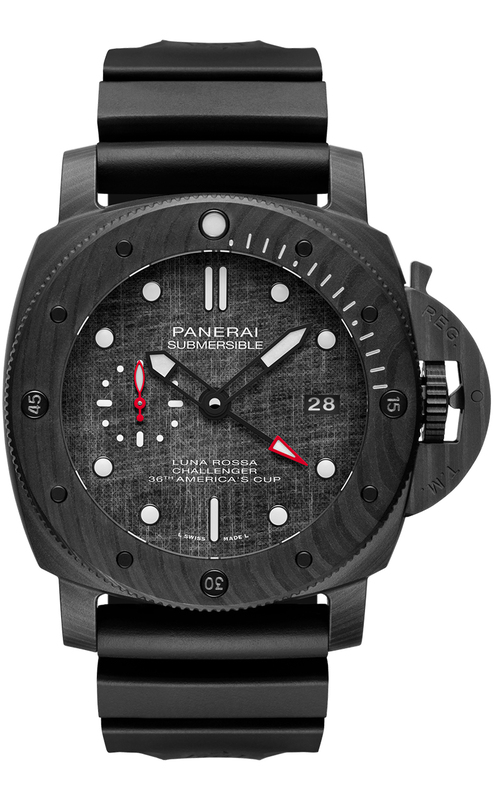 Called the Submersible Luna Rossa, the 300-meter water-resistant diver’s watch gets a case made from Carbotech, Panerai’s carbon-fiber-based material that isn’t only light, but is also shock-proof and won’t corrode. It’s the perfect match to the sailing team’s AC75 monohull yacht, which is largely built from carbon-fiber — and whose image is engraved on the titanium caseback of the watch. 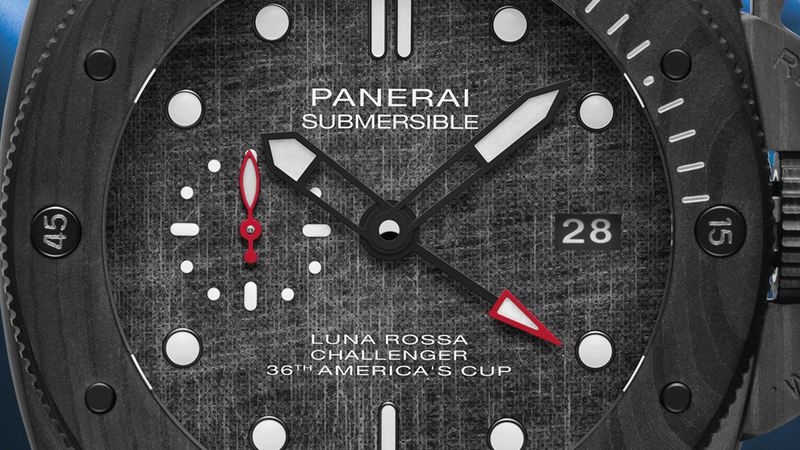 Some defining characteristics of the Submersible Luna Rossa, or the PAM01039, are the “stretch marks” on its matte black 47-millimeter case — the result of Panerai’s technique in weaving carbon-fiber, as well as the bits of Luna Rossa’s sails applied over the dial. Matched to this a unidirectional rotating bezel, also made from Carbotech, and a black rubber strap with a brushed titanium buckle — dark, of course. The watch’s noir look is brightened up by touches of red (well, it honors the Luna Rossa, or Red Moon), specifically on the tip of the GMT hand, and in the small second hand at 9 o’clock. Powering the Submersible Luna Rossa is the in-house cal. P.9010/GMT, a self-winding, 3i-jewel movement that spins at 28,000vph, and which is fitted with Incabloc anti-shock protection. Cranking it is a bi-directional rotor. Twin spring barrels allow it a power reserve good for three days. Which, when one is at sea, is simply perfect.